The DOJ E-Book Lawsuit: Is It 1934 All Over Again? The Department of Justice's lawsuit against Apple and five major publishers for e-book price fixing sent shivers through the industry — but Jason Boog says this fraught relationship between American publishers, retailers and the DOJ goes back to the Great Depression. Margaret Mitchell's Gone with the Wind was at the center of Depression-era price-fixing controversies. Here, Clark Gable prepares for his role as Rhett Butler in the MGM film adaptation. With the enthusiasm of a Prohibition-era raid on a band of bootleggers, federal and state prosecutors attacked major publishers in a series of lawsuits yesterday. "For the growing number of Americans who want to take advantage of this new technology, the Department of Justice is committed to ensuring that e-books are as affordable as possible," Attorney General Eric Holder declared. After months of leaking threats to the press, the Department of Justice filed an antitrust lawsuit against five major publishers and the biggest tech company in the world. The 36-page complaint alleged that Hachette, HarperCollins, Macmillan, Penguin and Simon & Schuster had colluded with Apple to fix e-book prices. Back in 2010, the plaintiff publishers had crafted the "agency model" as Apple opened the new iBookstore: an agreement that allowed publishers to set the same price for digital books across all online marketplaces. "Collusion" conjures up images of slick gangsters and rooms shrouded in cigar smoke. But the court filings reveal a few overwhelmed publishing executives grappling with an impossible problem. In 2009, the e-book market was growing faster than anyone imagined. Amazon commanded this new landscape with the Kindle, selling e-books for $9.99 or less — a loss leader scheme to seduce readers to use the new reading platform. The major retailer could afford to lose some money, but the publishing industry was already bruised by the tough recession and could ill afford to have the value of its product eroded in the public's mind. Trapped inside Amazon's low-price prison, publishers channeled MacGyver and cobbled together a temporary fix out of duct tape, a Swiss Army knife and Apple's brand-new iPad. To everyone's surprise this ramshackle solution survived two years — and changed the e-book landscape forever. This wasn't the first time the industry had needed a quick and dirty price fix. During the Great Depression, publishers faced off against another seemingly invincible retail juggernaut: Macy's Department Stores. Throughout the Great Depression, department stores like Macy's sold books at a steep discount. 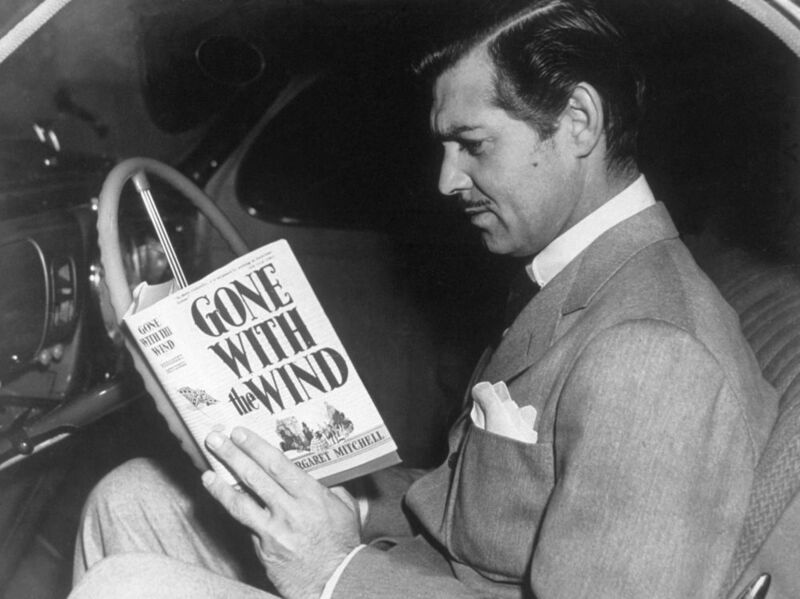 The best-selling Gone with the Wind became an early casualty of the 1930s price wars. Department stores priced the new novel at 89 cents (equivalent to $14 in 2011), hoping to lure customers into stores — a loss leader strategy that feels almost like a precursor to Amazon's play. In mid-1934, publishers and booksellers lobbied for federal protection from this kind of predatory pricing. During the early days of President Franklin Roosevelt's administration, the federal government enforced a set of retail codes to prevent predatory pricing and other Depression-era trade practices. The Supreme Court later declared the codes unconstitutional, but publishers fought in courts around the country to keep fair price legislation alive throughout the Great Depression. Thanks to the legislation, Macmillan dramatically raised the price of Gone with the Wind to $3 (equivalent to $47 in 2011). Macy's promptly returned 36,000 copies of the novel to the publisher, hoping to prove that this solution would scuttle sales for the new book. The publisher told the New York Times "we believe ... with the price of Gone with the Wind stabilized, its sale will go right on." Both the publishing industry and Gone with the Wind kept sailing, thanks in part to jury-rigged fixes nobody ever imagined would endure. No matter what the outcome of this mountain of federal and state litigation, the agency model, in its present form, is dead. Within the next month, Amazon, Barnes & Noble, Apple and other e-book retailers will undoubtedly mount a fierce price war for control of this new market. Publishers will bemoan the loss of the tool for preventing predatory pricing, brick-and-mortar booksellers will struggle to compete in the digital marketplace, and cash-strapped book buyers will cheer the competitive prices. The model may be moribund, but publishers managed to buy themselves some time before the e-book market exploded. Instead of letting Amazon dictate terms, they took control of digital book prices for two years. Apple, Google, Barnes & Noble and Kobo now share parts of the e-book marketplace with Amazon. On a more metaphysical level, customers no longer think of $9.99 as the only possible price for an e-book. We regularly pay everything from 99 cents to $14.99 for a best-selling e-book. The agency model was a quick solution that made some significant changes. After studying the industry through the Great Depression and the Great Recession, I have to conclude that there is no perfect resolution for the conflict between a dominant retailer and publishers. But when the smoke clears in a few years, one thing will be clear: Publishers will be proud of the measures that carried them through the e-book revolution.